In this assessment, students will review their comprehension of topics covered at the end of year 3 to guide their activities and progress in year 4. May take approximately 30 minutes to complete. In this assessment, you will review your understanding of topics covered in year 3 to help guide your assigned activities in year 4. It may take approximately 30 minutes to complete. Look at this list of numbers. Which number is a multiple of 100? How many marbles are there altogether? Estimate the answer by rounding the numbers to the nearest hundred and then adding. 89 sheets of paper in the printer. 59 are used. How many sheets are left? Do this division in your head, without using counters or a number line. There are 18 people going to a party. A taxi can carry 4 people. How many taxis do they need? Use the fraction wall to write down how many quarters there are in two wholes. When half full, a bucket holds 4500 ml. How many litres does it hold when it is completely full? How much heavier is the fish? Choose all the ways in which this time can be read. Bill is roasting a leg of lamb. He puts it in the oven at 10:45 a.m. and cooks it for 1 hour and 25 mins. At what time does he take it out? Look at these two lines. Are they parallel, perpendicular or intersecting? 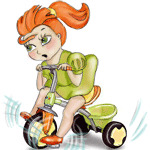 Kirstie timed how long it took her to cycle to the paper shop every day for a month. 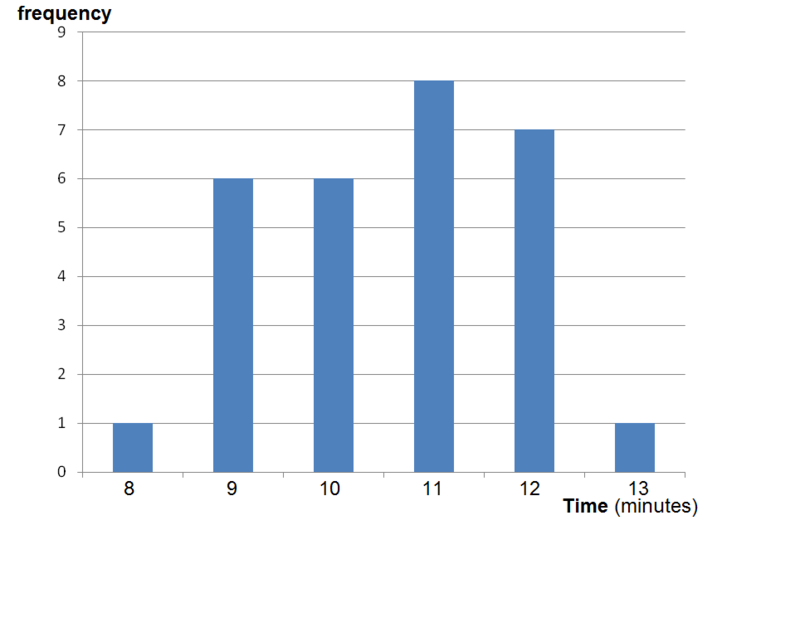 The results are in the bar chart. 40 and 9 is forty-nine with a hyphen. 4000 is the only number with at least two zeros. 18 ÷ 4 is 4 remainder 2, which means they have 4 taxis each with 4 people in and the fifth taxi only has 2 people in it. They need 5 taxis altogether. Each whole has 4 quarters. A full bucket holds 9000 ml which is 9 litres. The green minute hand is on 7, which is 35 minutes past. The red hour hand is between 6 and 7, so the time is 6:35. There are 25 minutes to go until it is 7 o'clock. From 10:45 a.m. to 11:45 a.m. is 1 hour. From 11:45 a.m. to 12 noon is another 15 mins. 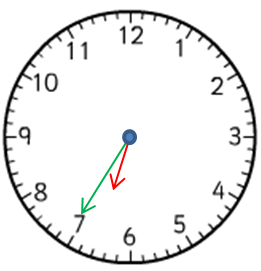 Another 10 mins is needed, to get to 12:10 p.m. (10 mins past midday). 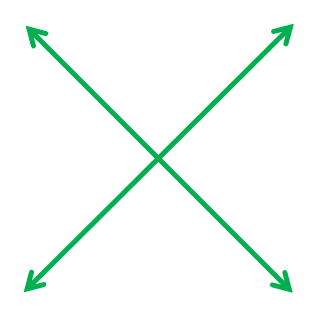 They are intersecting because they cross each other. They are also perpendicular because they cross at right angles.